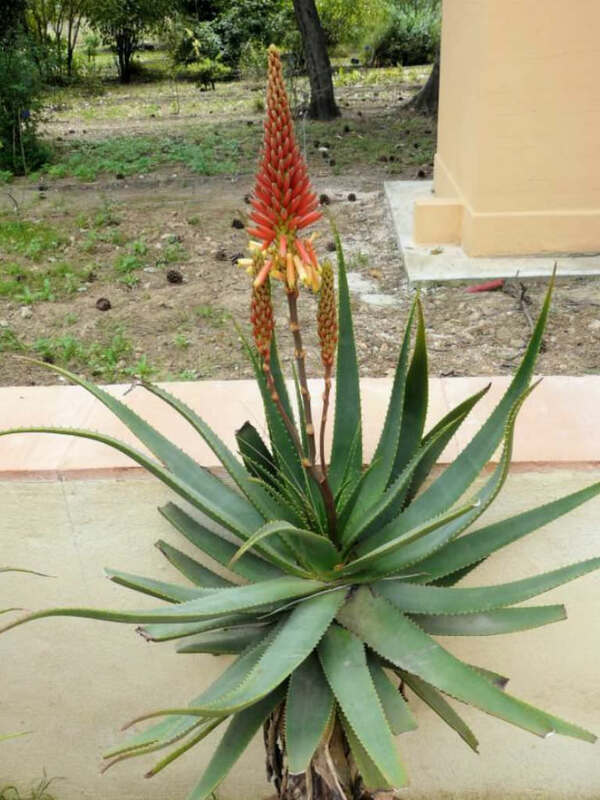 Aloe cryptopoda is a very attractive and unique Aloe with spectacular display when in full flower. 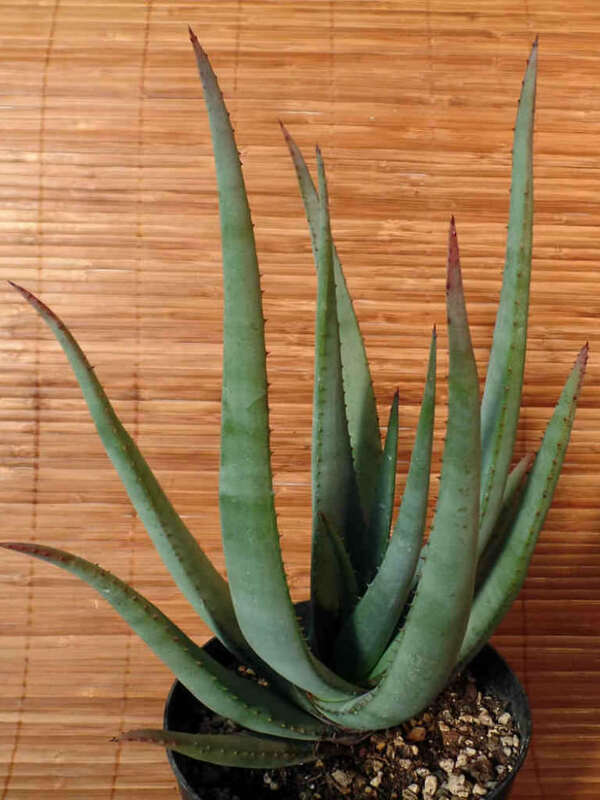 It grows alone or in small group, usually stemless or has a short, decumbent, hidden stem. 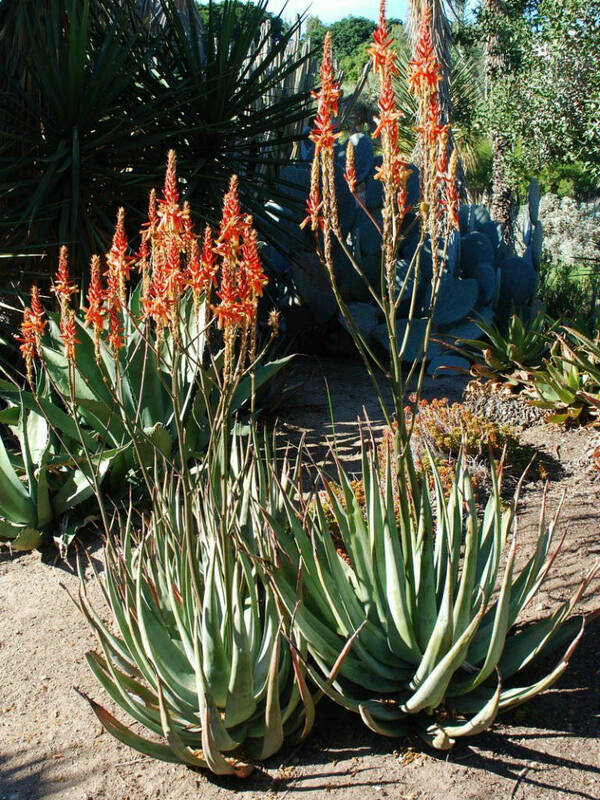 The leaves are narrow and oblong, up to 3 feet (90 cm) long and up to 6 inches (15 cm) wide, ascending in a dense apical rosette. 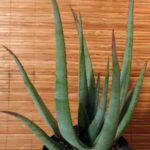 They are grayish-green with reddish brown teeth along the margins. 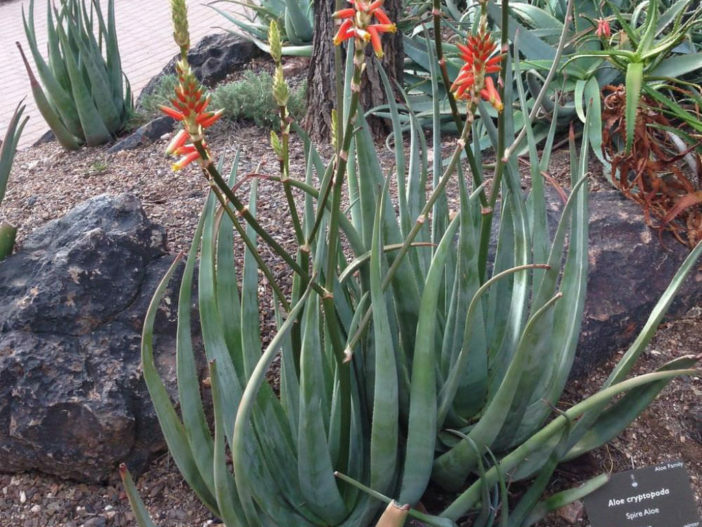 The inflorescence is an erect panicle up to 6 feet (1.8 m) tall, bearing up to 8 racemes. 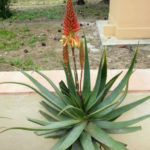 The flowers are cylindrical, up to 1.6 inches (4 cm) long, reddish, turning yellow when open. 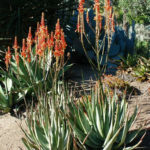 Aloe cryptopoda is native to South Africa, Swaziland, Mozambique and Malawi.